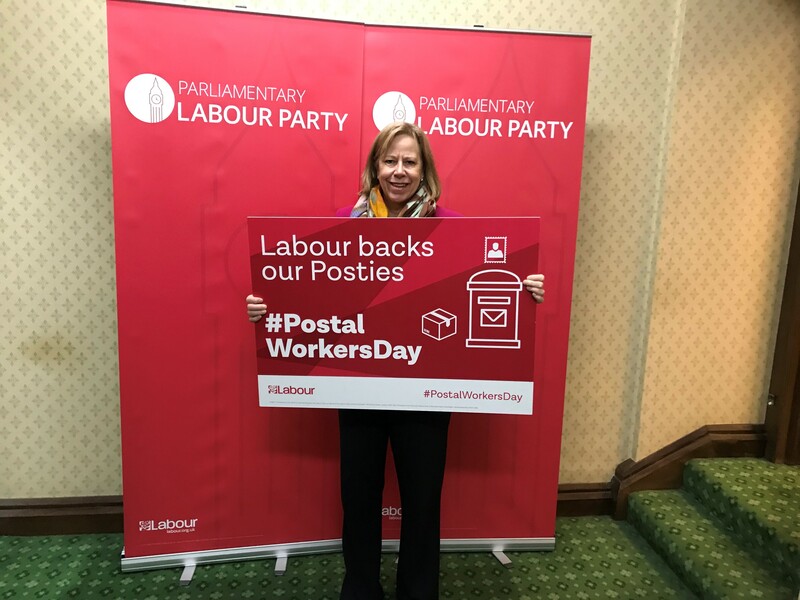 Ruth Cadbury MP celebrates National Postal Workers Day backing Labour's plans to renationalise the Royal Mail and opposes proposals to close Chiswick Delivery Office. To mark National Postal Workers Day on the 12th December 2017, Ruth Cadbury praised the posties serving Brentford and Isleworth. Ruth Cadbury is urging constituents to sign a petition which has already gained hundreds of signatures to stop the Delivery Services being moved from Chiswick office to Acton. Ruth Cadbury slammed the Tories for overseeing a strategy of managed decline of the Post Office network and their abysmal decision to privatize the Royal Mail, the effects of which are being felt harshly today, such as local branch closures. ''December 12th is one of the busiest days in the calendars for our postal workers. ''Our posties have been let down by the Tories whom since 2010 have pursued a strategy of managed decline of our Post Office Network and have overseen one of the biggest policy failures when it sold off the Royal Mail at below market price. As a result, we have seen Crown Post Offices closures across the country meanwhile £700m paid out in dividend to private shareholders by the Royal Mai over the past four years. This has led to worsening pay and conditions for the posties on the ground who work day in day out to serve their local communities.